Love the look of geometric beadwork and want to master beading the shapes for yourself? Then this class, which teaches the fundamentals of geometric beadwork right through to advanced explorations and variations, is for you! The class will cover all of the basic geometric beaded shapes (triangles, squares, pentagons) as well as lots of different ways to use them to create jewellery and vessels. 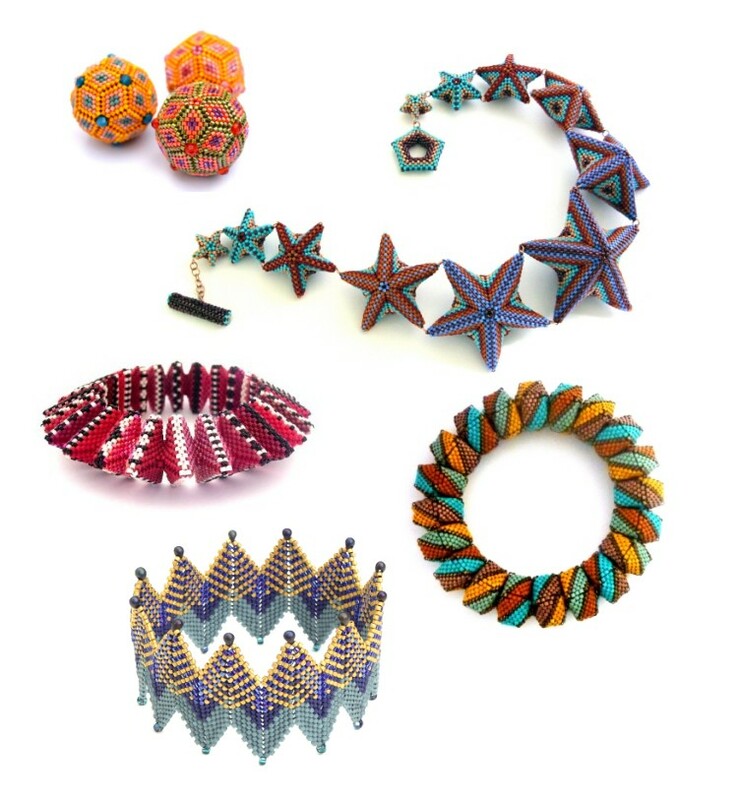 Over the 2-days, using the basic principles of geometric beading, you’ll learn how to make stars, bangles, necklaces, rick-racks and much more. Note: a lot of what is covered in this popular class is in my books Geometric Beadwork Volume One or Volume Two or available as patterns but this class will be much more in-depth with multiple demonstrations and variations not shown elsewhere.